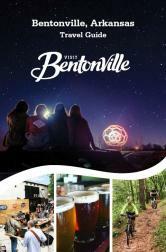 Welcome to the Bentonville Convention and Visitors Bureau Community section. Here you will find information to assist you in getting connected with city, county, state, and federal resources. If you are relocating to the area, please contact our Greater Area Bentonville Chamber of Commerce and request a relocation packet. If you are thinking about building or opening a business in Bentonville, contact our City of Bentonville Economic Development Department here.